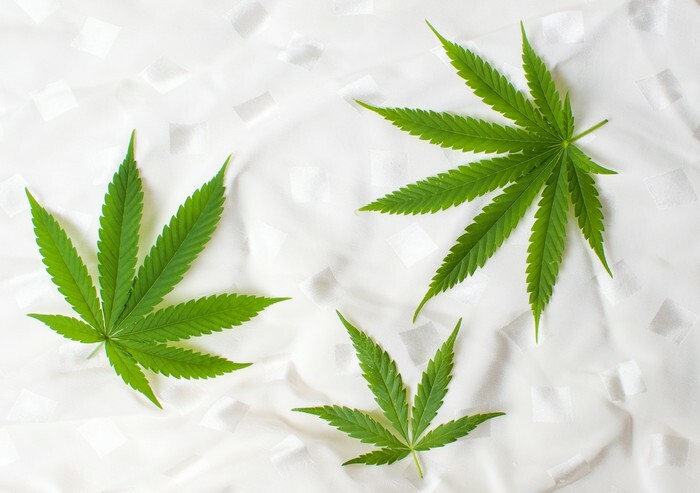 Marijuana stocks as a group might have performed poorly in 2018, but 2019 is a totally different story. Many of these stocks stormed out of the gate in January and haven't looked back. We asked three Motley Fool contributors who closely monitor the cannabis industry to identify their top marijuana stocks to watch in February. Here's why they chose Aphria(NYSE:APHA), Origin House (NASDAQOTH:ORHOF), and Tilray (NASDAQ:TLRY). Todd Campbell (Aphria): Canadian marijuana stocks have been rocketing higher in 2019 following changes to hemp regulations in the U.S. that could allow them to start doing business in America. That potential has kindled excitement that has sent Aphria's shares soaring. But unlike some of its competitors, there could still be more running room left for it. That's because Aphria's shares got punished last year on concerns over its corporate governance. Allegations of self-dealing by key executives tied to acquisitions last year caused short-sellers to pounce, pushing Aphria's valuation to among the lowest in the marijuana industry. Those concerns may be overblown now that co-founder Vic Neufeld has agreed to turn over the CEO reins later this year. If an internal investigation into the acquisitions comes up with little to worry over, shares could leap as the overhang disappears. There's plenty for investors to cheer, too. Aphria has historically been one of the lowest-cost marijuana growers in Canada. Based on its greenhouse expansion plans, it has a shot at being the third-largest marijuana company on the planet. Its top-tier status as a grower suggests it could enjoy significant sales growth as Canada's recreational marijuana market matures. The country's adult-use market opened in mid-October, and last month, Aphria said sales totaled 21.7 million Canadian dollars ($16.36 million) in the quarter ending November, up from CA$8.5 million in the same quarter of 2017. That's remarkable sales growth, yet it only hints at Aphria's opportunity. Statistics Canada estimates that roughly CA$6 billion is spent annually on marijuana in Canada. Most of that is still done on the black market, so as that changes, it should provide significant tailwinds to demand. If Aphria can make a move into the U.S., it could tap into a market that industry watchers peg at $50 billion per year! Admittedly, the internal investigation is ongoing, so this stock remains risky. Nonetheless, I think new management and the market opportunity make this a pot stock worth buying. Keith Speights (Origin House): If you're going to really make it to the big time as a marijuana business, you've got to be in California. The state claims the largest marijuana market in the world. And Origin House is well positioned to hit the big time, in my view. Origin House is the largest distributor of cannabis products (of the legal variety, at least) in California. 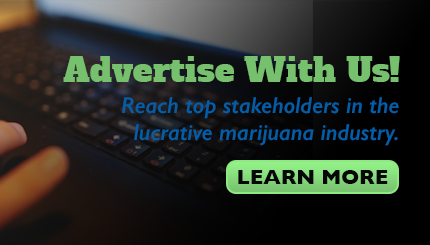 The company currently reaches around 70% of the cannabis dispensaries in the state. It also has built a lineup of in-house cannabis brands. There are three main reasons I think Origin House is a marijuana stock to watch in February. First, its stock is hot -- up more than 35% year to date -- and it could get even hotter. Second, Origin House continues to add new brands to its portfolio. The company expects to boost its sales from in-house brands to roughly 50% of total revenue. A third reason to watch Origin House is related to what's happening in California. The state's recreational marijuana market got off to an abysmal start last year in large part because of red tape in licensing dispensaries and burdensome tax rates. But additional dispensaries are now receiving licenses, with even more to come. And the California Legislature is considering a bill that would lower cannabis taxes. This move would be great news for the state's cannabis industry and likely provide a big boost to Origin House's share price. Sean Williams (Tilray): The marijuana stock I've got my eye on this month is Tilray -- and it's not because I believe the company has upside potential. Following an unbelievable debut last summer that saw Tilray rocket from a list price of $17 to an intraday high of $300, its share price has settled in between $70 and $85, valuing the company quite richly at between $7 billion and $8.5 billion. I say "richly" because we're talking about a cannabis grower that isn't likely to generate a profit in 2019 or 2020 because of aggressive spending on product diversification, branding, marketing, international expansion, and capacity upgrades. But February is important for Tilray: It'll feature the release of the company's fourth-quarter and full-year results. We should finally get some clarity on what to expect financially in 2019, as well as what the company's focus will be. Specifically, I'm intrigued to see what Tilray has to say about its production capacity. When it issued its S-1 prospectus in June, it alluded to 912,000 square feet being completed in 2018, with just over 850,000 square feet devoted to growing capacity. We've heard virtually nothing about whether this was achieved, and just how much extra capacity Tilray plans to add with its close to 3 million square feet in available land. With a little over 850,000 square feet of growing capacity, there are pot stocks out there with market caps one-tenth the size of Tilray that could produce more annual output at their peak. In short, I want to hear about its production capacity plans. I'm also curious to see just how close Tilray will get to an operating profit. This will be the first quarter with post-legalization revenue from Canada, and it'll be interesting to see how well Tilray's well-known products performed. I personally believe Tilray remains grossly overvalued, even taking into account its recent deals with Novartis' subsidiary Sandoz and Anheuser-Busch InBev. This earnings report will help validate or discredit my thesis.